Luxurious top floor corner condo in sought-after Compass Point combining abundant space with a superb community lifestyle at WaterSound Beach. 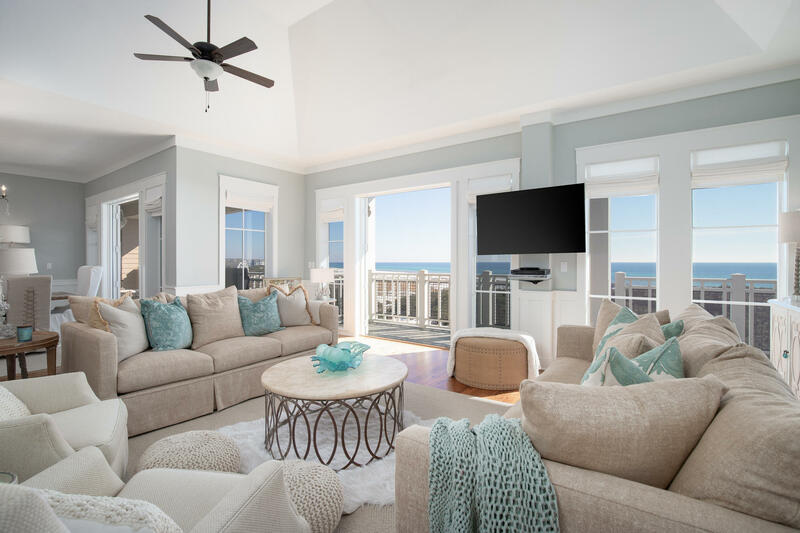 Gorgeously decorated with wainscot walls, newly updated lighting and gleaming wood flooring, this four-bedroom beach condo is the perfect place for spending peaceful days relaxing with friends or entertaining. Wind-sculpted dunes with waving sea grass are all that separate this stately condo from glittering gulf waters and the private white sandy beach. It's a world away from everyday stress and a rushed pace of life. Wake up to serene sea views from the large master bedroom and head out onto the private balcony for morning coffee and bagels.